Hello everyone. You may have noticed that it has been very quiet around here lately. Well, that is because I took several weeks off of blogging. Ever since Easter I simply felt like I needed to turn some of the “noise” off in my life. Do you know what I mean? Well, I now feel rested and totally pumped to “get back to it”! So I hope you are ready for some yummy food and tasty treats because that is what I have in store for you! Oh, and I didn’t completely shut myself off from the blogging world these past several weeks. 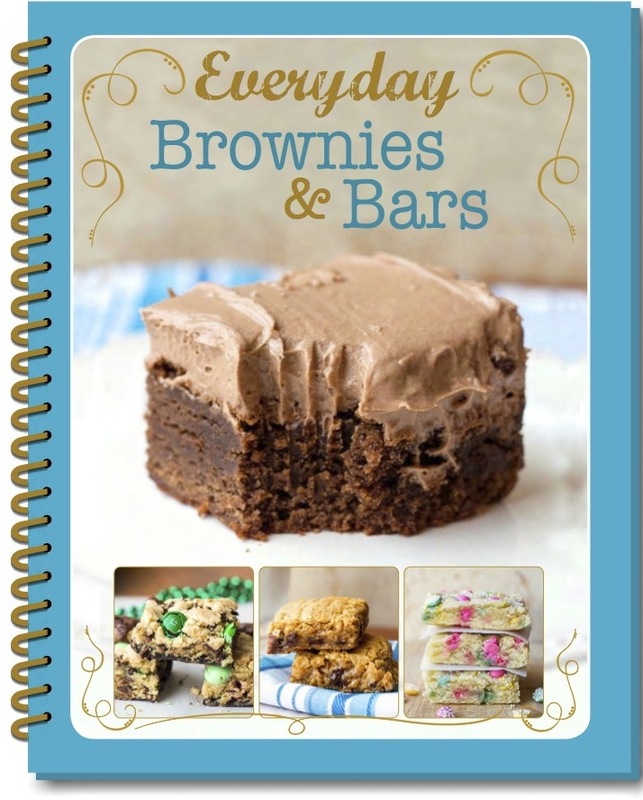 I have recently finished my first recipe eBook: Everyday Brownies and Bars. You can get it for FREE simply by subscribing to my newsletter. It is simply a way for me to thank you all for taking the time to follow along with my blog. If you haven’t received it yet, simply follow the link below to get your FREE copy today! I know you are going to love it!! So for my first recipe back, I decided to show you a simple and different way of making pizza. In our family, pizza is a staple for our dinner line-up. I make it, or order it at least once a week. Being in the Chicago area is helpful if you are a pizza lover because we just have so many great options. This recipe is a different take on your run of the mill pizza. 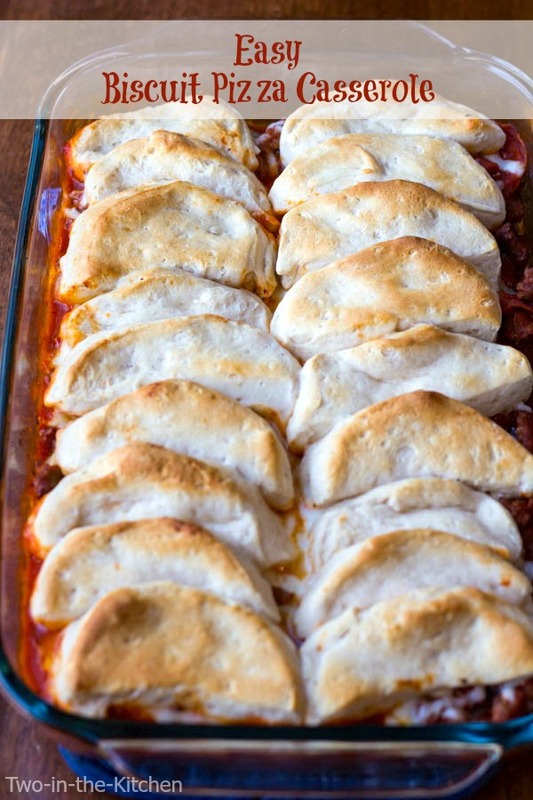 It is an Easy Biscuit Pizza Casserole and is made with Pillsbury Grands Biscuits. By the way, if you don’t have a cast iron skillet, you are truly missing out! 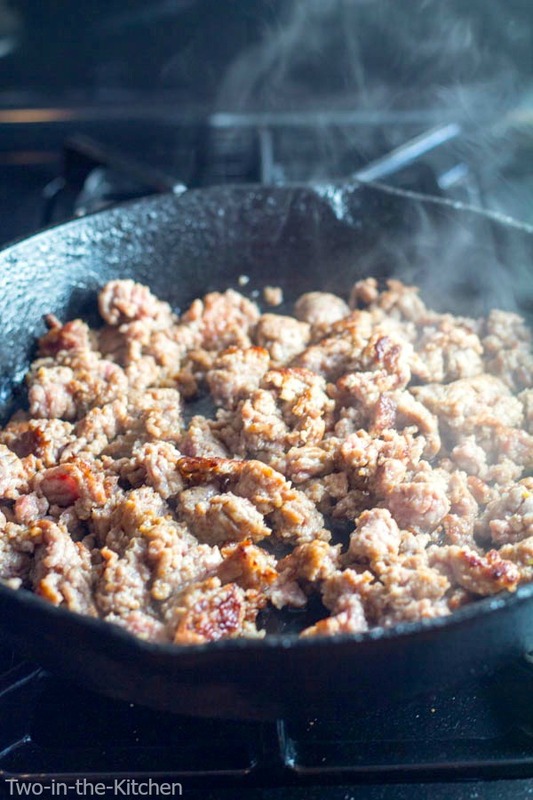 My Lodge skillet pan is one of my favorite cooking essentials in my kitchen! It is versatile and so easy to clean! I then cover it with cheese and top it off with the Pillsbury Grands Biscuits sliced in half. Return the sausage to the pan and add the pizza sauce, pepperoni slices, and 1/2 the mozzarella cheese. stir it all up and pour into a 9x13 glass baking dish. Slice each biscuit in half and place them on top of the cheese layer in two rows as shown in the pictures. Bake for approximately 30 minutes or until the biscuits are golden brown and baked through. Welcome back! I have missed your posts. This looks SO good too. 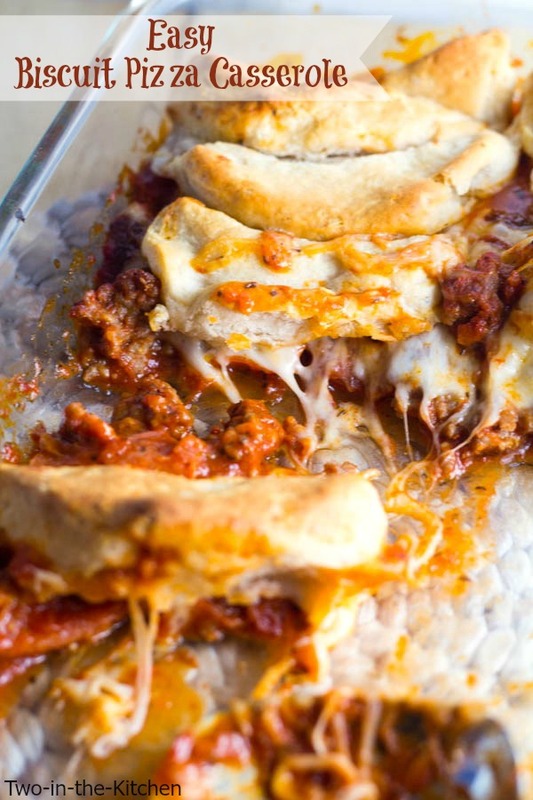 This pizza casserole looks wonderful. Love using refrigerated biscuits! Thanks so much Manali!! It was nice to take a break but I missed “chatting” with everyone! I’m coming over to check out your salted caramel sauce……yum!!!! Welcome back and congrats on the eBook!! 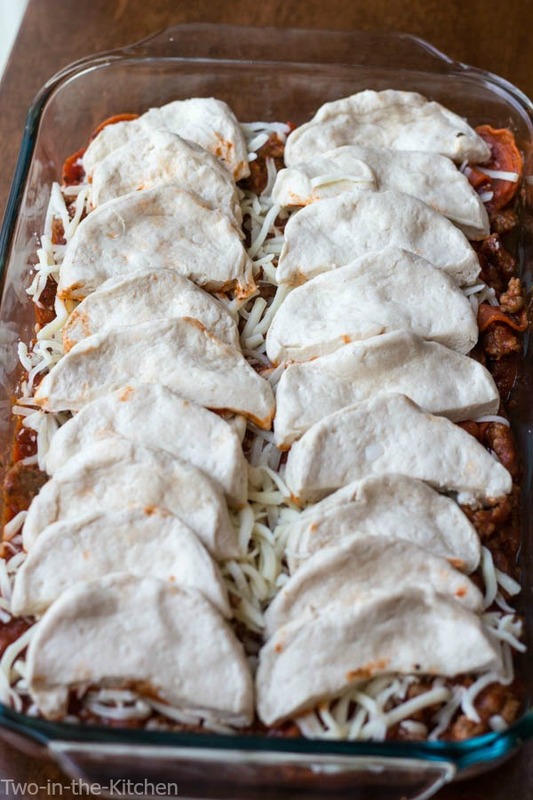 I make a Mexican biscuit casserole just like this and love it!!! Yours looks fabulous! Welcome back Renee! Glad you took some time off, it’s always nice to get a break here and there 🙂 This pizza casserole looks incredible! Love the biscuits! Yes, I noticed you were gone and missed you! So glad you’re back. Man, you came with an amazing recipe to bring us back too! It looks absolutely fab! Thank you Kristi, I missed you too!! I am SO glad to be back in the swing of things!! It sounds like you definitely deserved a little break and I’m glad you got one! Missed you though, and glad to see that you’re back now! Gosh, this casserole?! I might just need to break down and make it for dinner tonight. It looks SO easy and so dang amazing! Welcome back, Renee! Good for you for taking the time you needed! And thank you for this fun recipe! YUM! Taking a break is always helpful in my opinion! So glad you are back! 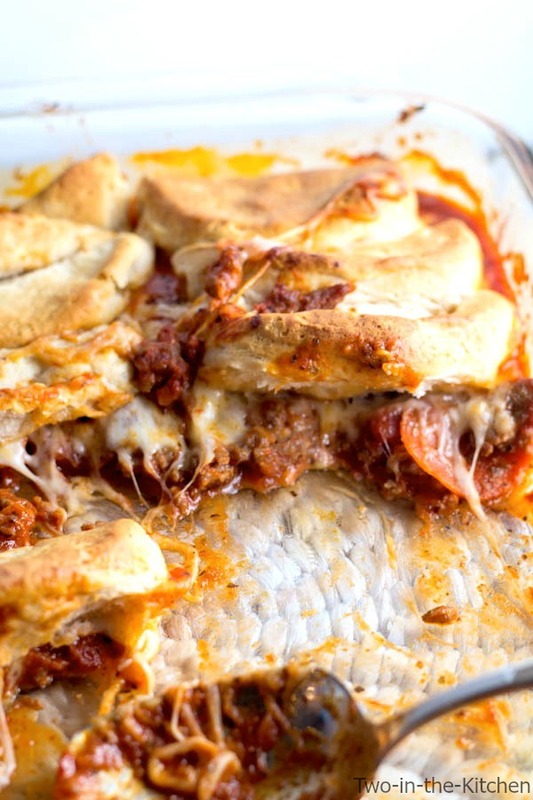 And what a creative dish, love this biscuit pizza casserole! Pinned! Welcome back Renee!!! I wish I could unplug and not feel guilty for a few weeks. 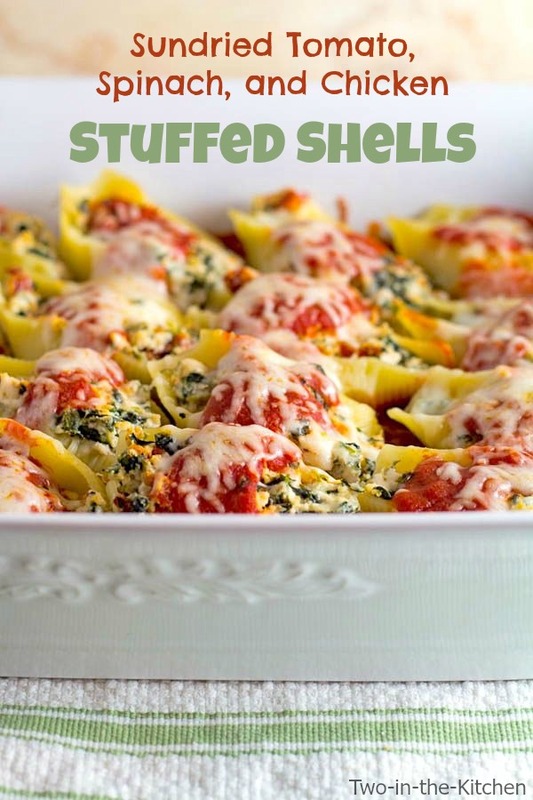 This is the perfect dish to start blogging again with! So glad you are back because this dish looks amazing! I hope your break was exactly what you needed! Great recipe, so kid friendly! 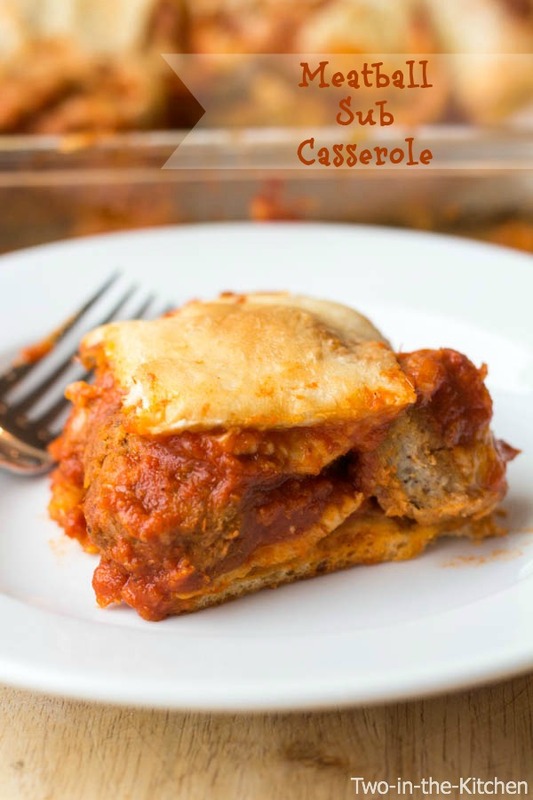 LOVE this casserole!!! Pizza + Casserole = Love at first bite.